Can you picture this old world train set under your Christmas Tree on Christmas morning - and the wide eyes of your little ones!! 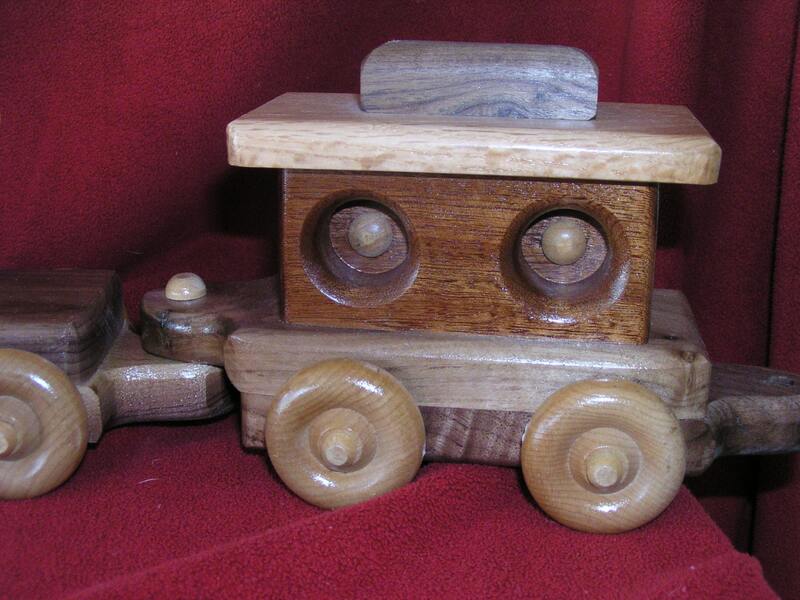 Imagine the hours of enjoyment your child will have playing with this generation piece - built to last. 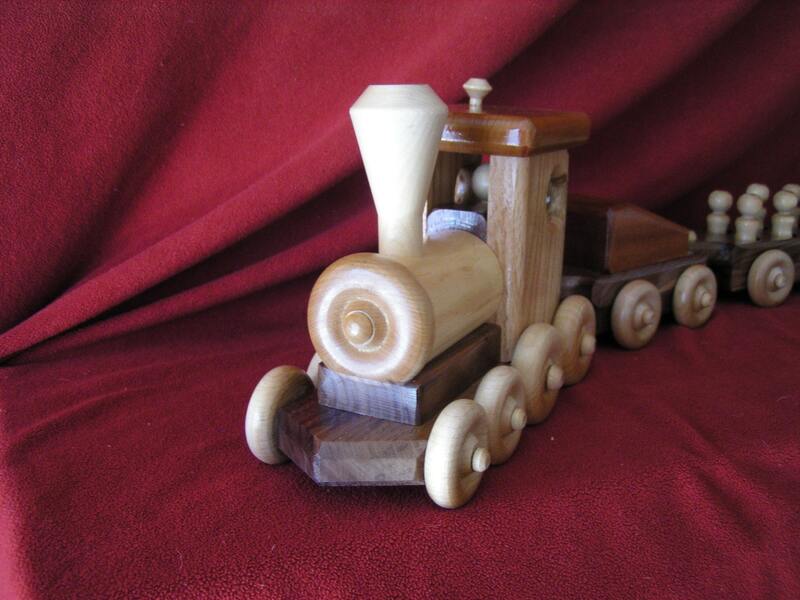 Young minds will explore and plan endless train trips with this handcrafted train. 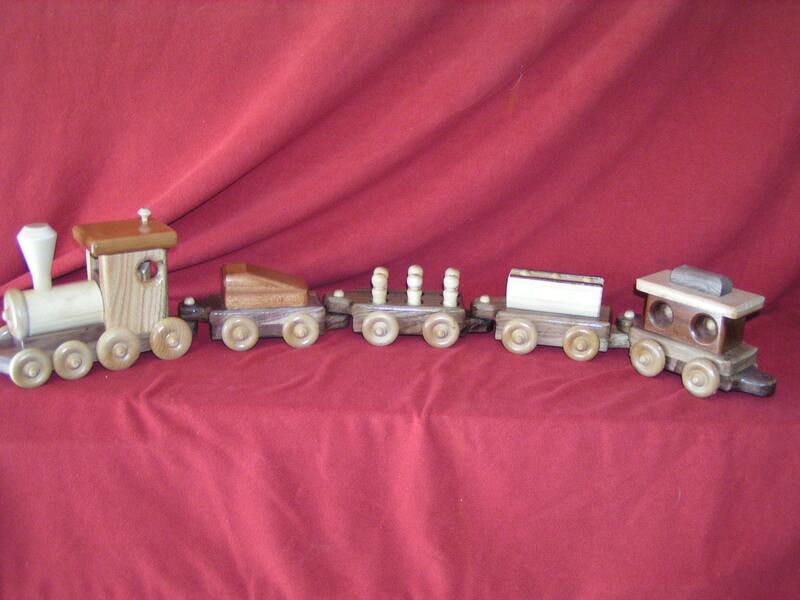 This beautiful handcrafted five car train set includes Engine, Coal Car, People Car, Tanker Car and Caboose. They are handmade with various exotic hard woods - Oak, Cherry, Mahogany, Black Walnut and Maple, and as always finished with non-toxic eco-friendly materials. 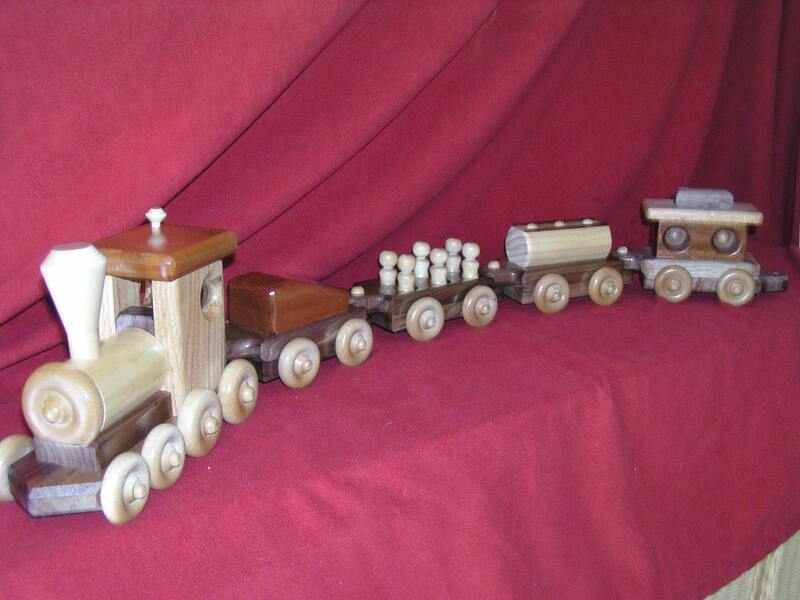 All wheels move, and each train is completely detachable. The entire train set measures 40" Long. Other car styles are also available. Let us customize the set with your child's name, date of birth, year given or anything else that will make it unique to them. 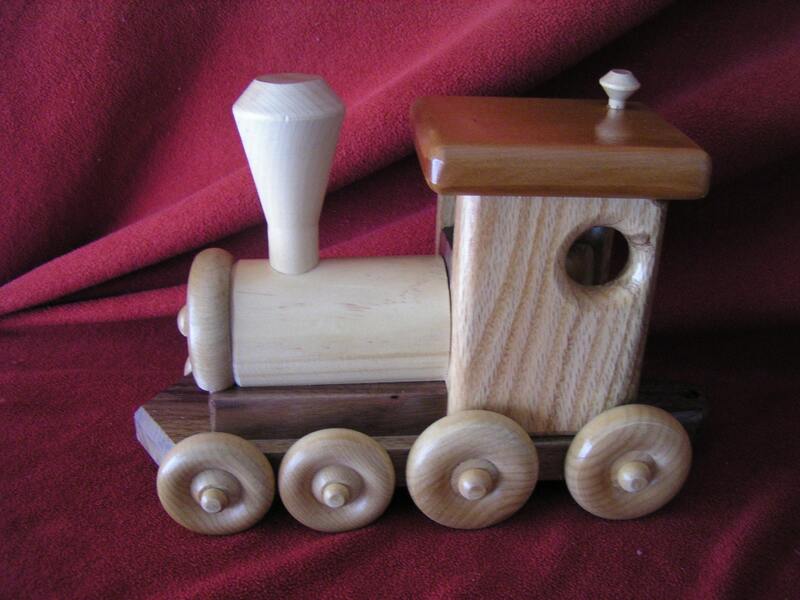 Another great Waldorf Educational Toy! Call us for details - (941) 830-2338 or email us at woodnookllc56 [!at] gmail.com.